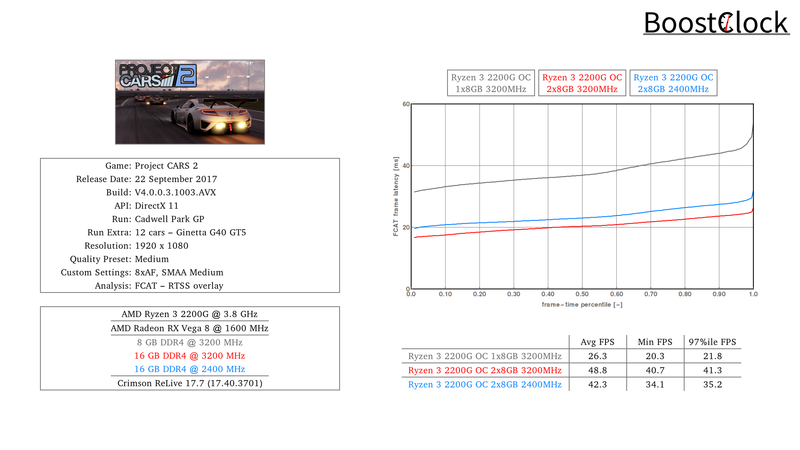 Let's go racing in Project CARS 2 at Cadwell Park with AMD's latest integrated graphics solution, the Ryzen 3 2200G with Vega 8 Graphics. 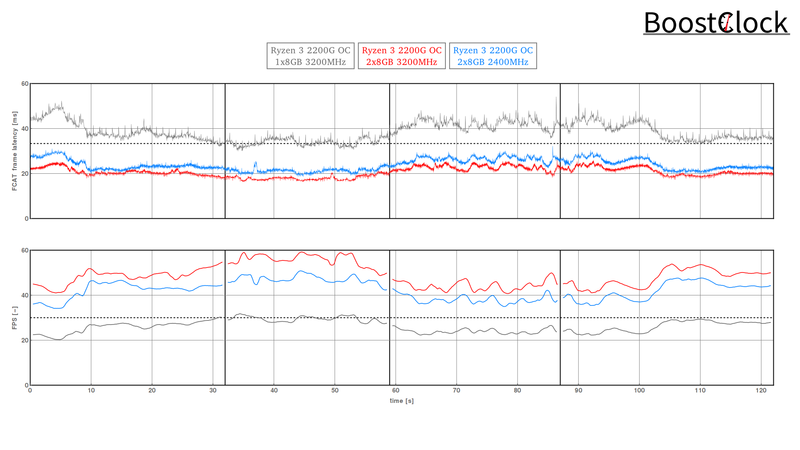 As DDR memory module prices are on record high we tested different scenarios so that one can make cost-conscious decisions on the optimal configuration. First and foremost, avoid single channel configuration at all cost. Of course, this is no surprise, but one have to stress that when buying a new laptop with integrated graphics the first thing to do is to check the memory configuration. APUs are memory bandwidth limited and dual channel mode doubles the effective bandwidth. 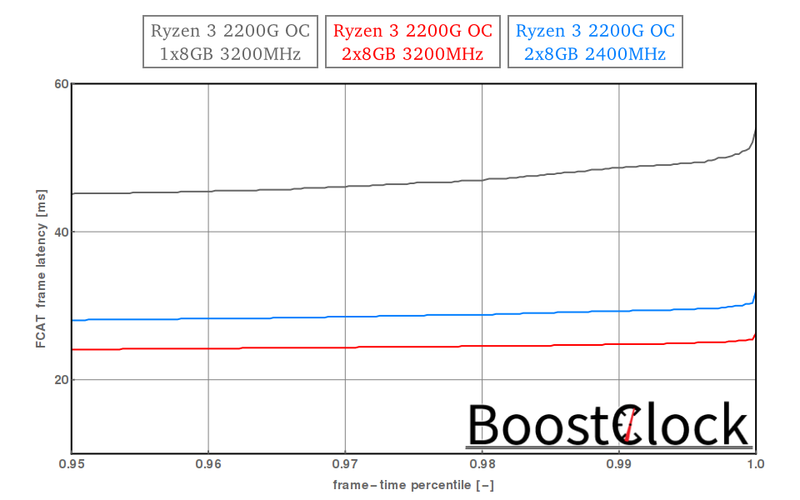 Second, if you cannot afford high speed modules you can opt to buy a well-built B350 motherboard and overclock the APU - in pCARS 2 the OCed Vega 8 with 2400 MHz DDR4 was able to tie with the APU on stock frequencies but with 3200 MHz DDR4. 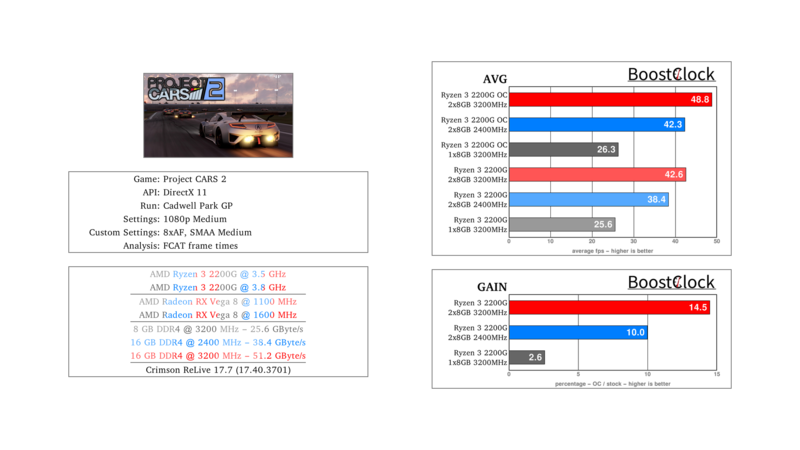 pCARS 2 ran on Vega 8 without a hitch, frame times were perfect.